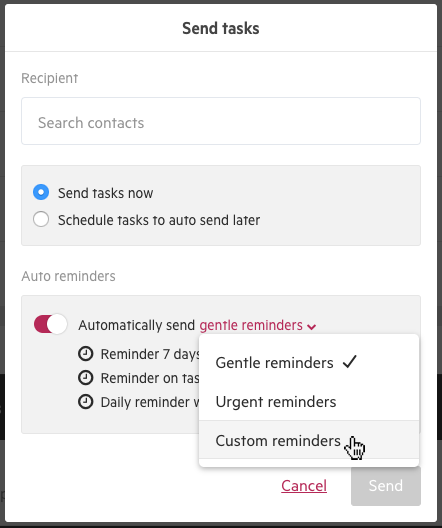 Customize the frequency that automatic reminders are sent to your clients. When setting up client task reminders, there's an option to customize the frequency of reminders by selecting custom reminders. While setting up the client task, select the drop-down under Auto reminders and select Custom reminders. You can then select the frequency of reminders.